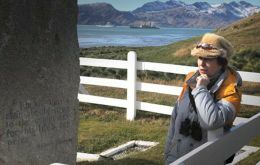 Headlines: Royal party return after South Georgia trip; FIG restructure to offer more opportunities for locals; Seaman on trial for cocaine theft. 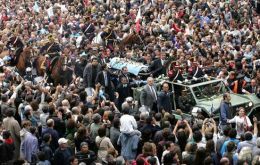 Tens of thousands of Argentines lined the streets of Buenos Aires on Thursday to watch the funeral procession of former President Raul Alfonsin in a public display of gratitude for a leader who conducted the country back to the longest period of democracy since 1983. 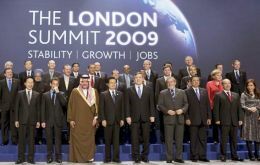 As G20 negotiations on a new regulatory blueprint bogged down, President Barack Obama pulled French President Nicolas Sarkozy and Chinese President Hu Jintao into a corner of a room in London’s Excel Centre, according to press reports from London. 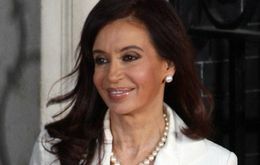 An Argentine president headed for the first time a ceremony in London commemorating the 27th anniversary of the Argentine April 2 landing in the Falkland Islands which triggered in 1982 the South Atlantic conflict with the United Kingdom. 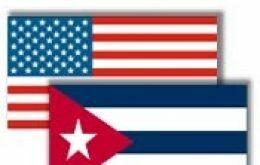 United States senators from both parties, backed by activists and businessmen, began promoting a bill this week to lift travel restrictions to Cuba, and apparently have the necessary votes for approval. Leaders of the world's largest economies have reached an agreement to tackle the global financial crisis with measures worth 1.1 trillion US dollars. 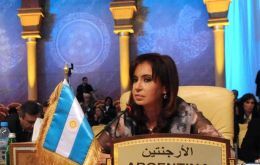 Argentine president Cristina Fernandez de Kirchner strong lobbying for support from the Arab League in its dispute with Britain over the Falkland Islands is proving to be a short lived pyrrhic victory since she involved Argentina in the Palestine question and infuriated the Jewish community. 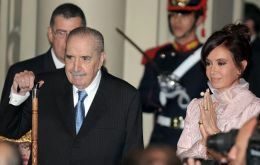 Thousands of Argentines have marched and thousands more were queuing Wednesday night to render their respects to former Argentine president Raul Alfonsin, who died on Tuesday evening and has been enshrined as the man who following the defeat of the Argentine dictatorship in the Falkland Islands conflict, helped start in 1983 the longest period of electoral democracy in this politically turbulent country. 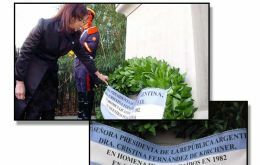 On the 27th anniversary of the Argentine landing in Falklands/Malvinas, which triggered the South Atlantic conflict in 1982, the Argentine government will commemorate Thursday April 2 the Day of the Veteran and the Fallen in the Malvinas War. 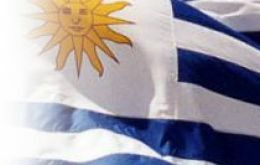 Two public opinion polls released this week ahead of Uruguay’s June’s primary election when political parties must choose their presidential candidates virtually coincide in the standing of the different hopefuls. However they differ dramatically regarding the overall vote: ruling coalition versus the opposition.